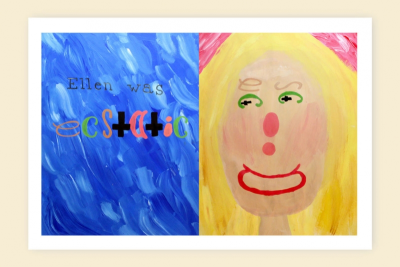 Students respond to the illustrations and alliteration in the book, Walter Was Worried, by Laura Vaccaro Seeger, and then use what they learn to paint a portrait that uses letters for the features of the face. Tape the paper to a plastic placemat. Make sure the tape is straight and runs parallel to the outer edges of the paper. Fill the space with colour. Mix colours together on the paper. 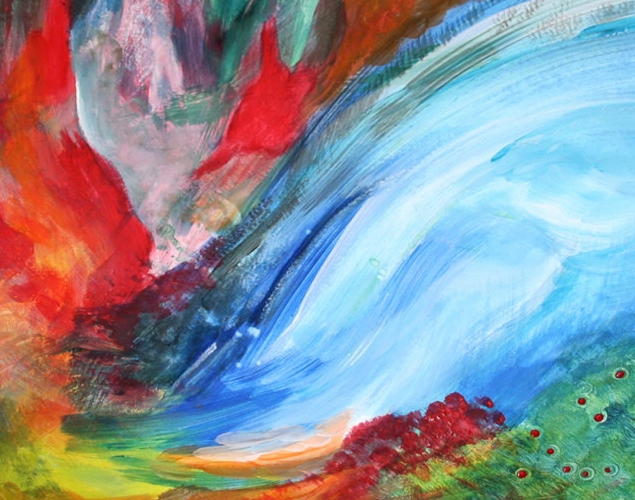 Let Laura Vaccaro Seeger's style influence the way you paint. Paint the head and neck. Make sure it fills the page. 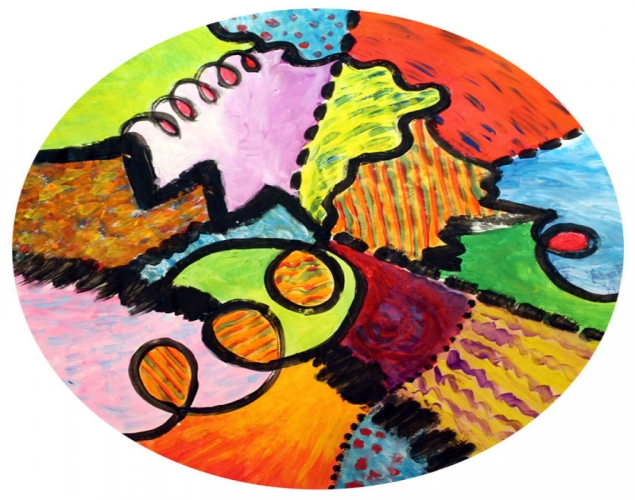 Let Laura Vaccaro Seeger's style influence the way you paint it. Make sure it describes an emotion. Make sure to use alliteration – words that have the same sound at the beginning. 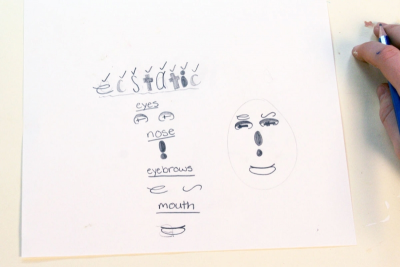 Plan how you will use the letters for the features of the face. Draw the words on the text page. Paint the letters using the same colours you plan to use on the face. Paint the letters on the face. Make sure you use the same shape and colour for the letters as you did on the text page. Gently remove the tape from both paintings. Glue them beside each other on a piece of construction paper. support their ideas with evidence found in the artworks. Share the completed works with their peers. Prior to this lesson teach the concept of alliteration – using words that start with the same sound. Get a copy of the book, Walter Was Worried, by Laura Vaccaro Seeger. 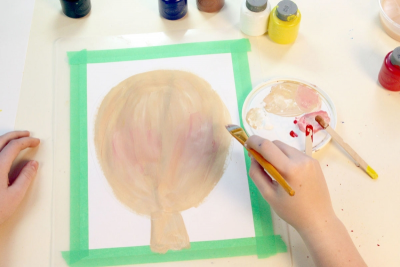 Collect plastic lids (about 15 cm diameter) to use as palettes – enough for one per student. Conduct a read-aloud with the book, Walter Was Worried, by Laura Vaccaro Seeger. Ask students to look at the images closely for a minute. Identify characteristics of Laura Vaccaro Seeger's style. 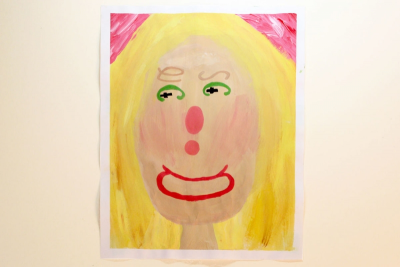 Paint a portrait in a style influenced by Laura Vaccaro Seeger. Use a variety of textured brushstrokes and contrasting colours. Use alliteration and text to create the features of a face. Support your ideas with evidence found in the artworks. Make sure everyone understands the challenge. 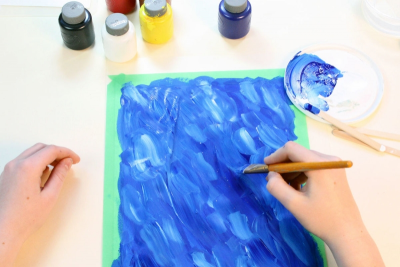 Encourage students to add their own personal touch to their painting. Ask them to share their work and discuss the things that are especially effective and why. - use of text to create features and show the emotion. Ask students to tell how they felt about doing this project. 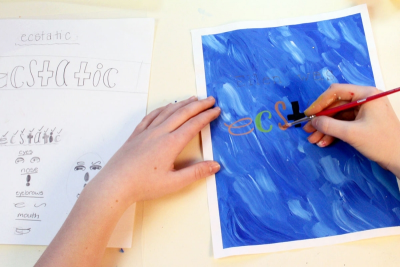 Observe students as they discuss the paintings – active listening, insightful contributions, supporting ideas with evidence found in the artwork and from personal experience.